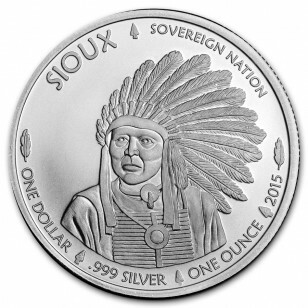 The Native American Mint's first 1oz Silver bullion coin features the Sioux Indian. 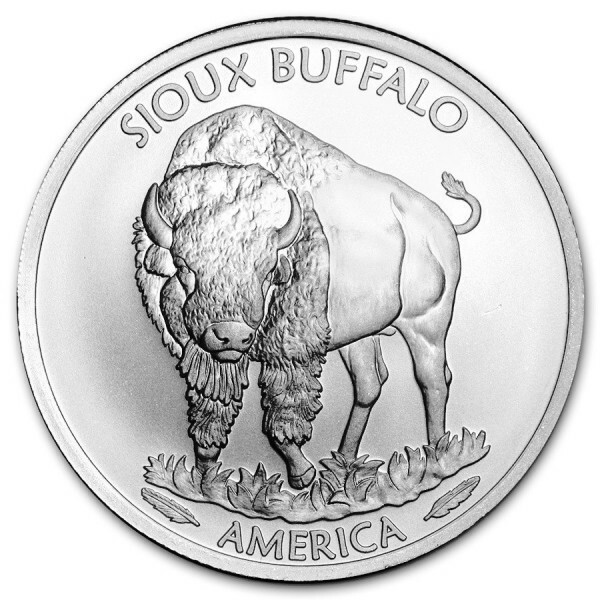 This coin is authorized by the Oglala Sioux Tribe, which is the largest of the Sioux nations and is located at Pine Ridge. 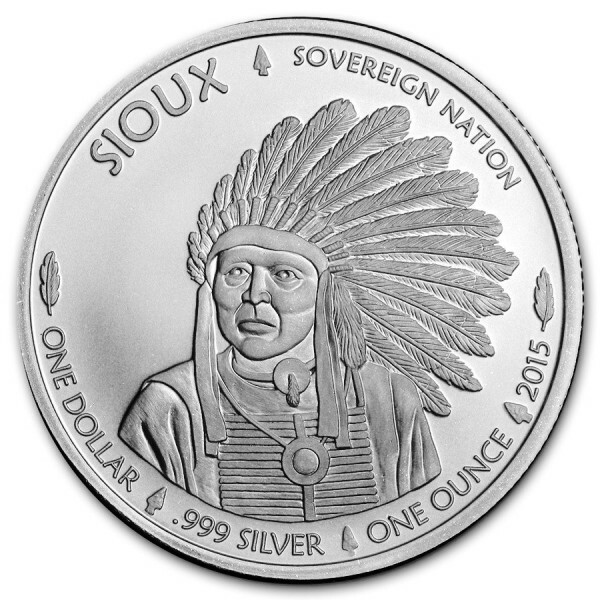 The obverse depicts a typical war chief from the 1860s when fighting was rife between the Sioux and the U.S. military. Around the rim is "Sioux", "Sovereign Nation", the weight and purity and 2015. On the reverse The Sioux Buffalo, which was an intricate part of Sioux life as the tribe often followed the buffalo to ensure sustenance.